THELIN Recycling specializes in mobile contract grinding. 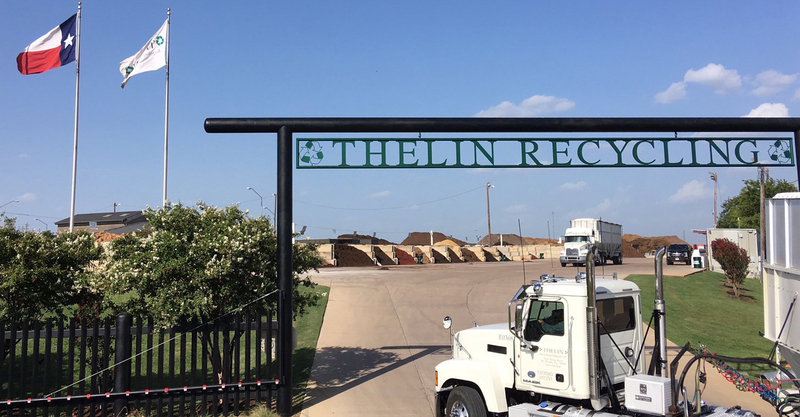 THELIN has been privately owned in Fort Worth, Texas since 1996 servicing commercial site contractors, mulch production companies, and hurricane debris reduction projects. In addition, THELIN is one of the largest producers of a variety of mulches and other related landscape materials. THELIN is committed to providing the highest quality services and products in the business. THELIN products are 100% organic materials. No dimensional lumber or pallets are used. THELIN Recycling accepts yard debris (vegetation only), trees, shrubs, and stumps. THELIN receives any size truck load or trailer. THELIN does not accept commercial size vehicles from land clearing.